Picturesque country cottages, a timeless world of bicycles, horse drawn taxis and lazy, alfresco lobster lunches, Guernsey’s sister islands of Herm, Alderney & Sark are a British paradise. The subtropical flowers and white sandy beaches cast a mesmerising spell over all those who travel there. 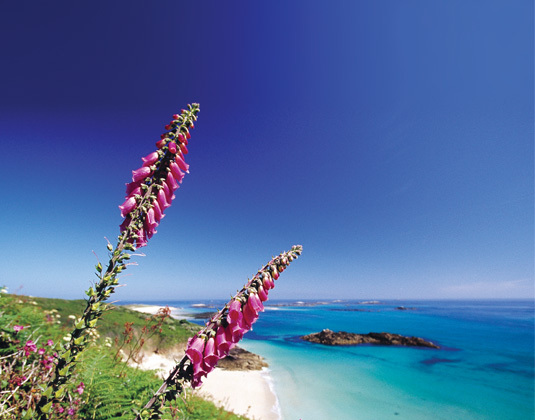 With its breathtaking stretches of white sandy beaches and stunning award-winning gardens it’s easy to see why so many fall in love with Herm at first sight. This haven from the modern world is just one and a half miles long by half a mile wide, so the scenic coastal paths can be walked in their entirity within a leisurely couple of hours. The gently undulating route takes you to stunning Shell Beach on Herm’s north eastern corner, with its crystal clear waters and sand that is comprised of millions of tiny shell fragments. A little further around the coast is the pretty, sheltered cove of Belvoir Bay while Herm Village is just a short walk from the harbour where you’ll find a pub and a few small shops. The compact island of Alderney measures just three and a half miles long and is a paradise for nature lovers, with a mix of beautiful landscapes and abundant wildlife. At its centre is St Anne, the quiet inland capital, an attractive little town with pastel-coloured houses lining the cobbled streets and a range of interesting shops. Spend a leisurely day following the cliff paths on foot or cycle or, if you prefer to laze on a sandy beach listening to the sea, grab your towel, book and sun cream and head for Braye, Corblets Bay, Arch Bay, Saye Beach or Longis Bay. Traffic-free with stunning coastal views and a picturesque rural interior Sark is truly unique. With no cars, the 600 residents get about by bicycle or horse and carriage, resulting in a dramtically different pace of life. The village’s main street has several shops offering bicycle hire which is the other great way of experiencing Sark. Narrow lanes and dusty tracks weave their way around the island, past meadows and high cliff paths with breathtaking views. Hidden gems include La Seigneurie historic feudal home and gardens, the Venus Pool and Adonis Pool, both natural swimming pools whose waters are refreshed at high tide. Also not to be missed is La Coupee, a narrow causeway that connects Sark to Little Sark, with dramatic drops on either side to the bays below. Why visit Alderney, Sark & Herm? 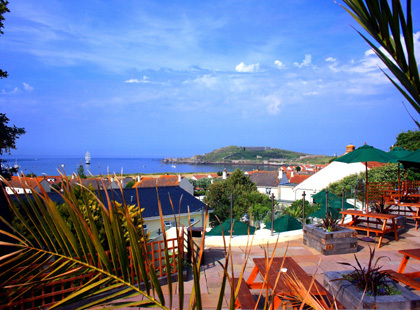 Our vastly experienced travel advisors are passionate about Alderney, Sark & Herm. With first-hand knowledge of when and where to go they can create the perfect holiday experience for you, at the best possible price. Herm: Travel to Guernsey by sea or air and then take a commute by ferry to Herm (20 minutes). The boats moor just a short walk from the White House Hotel. Alderney: Direct flights to Alderney are available from Southampton. 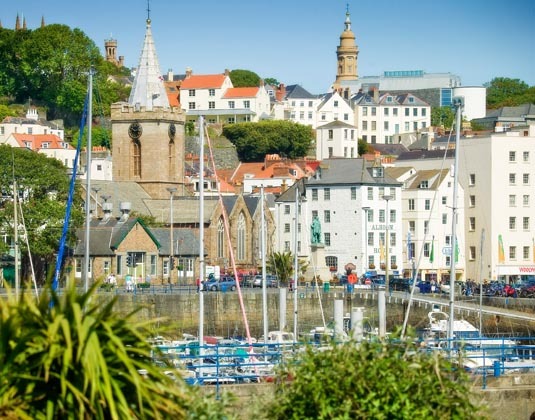 Alternatively, flights are available via Guernsey with an onwards 15 minute flight to Alderney. 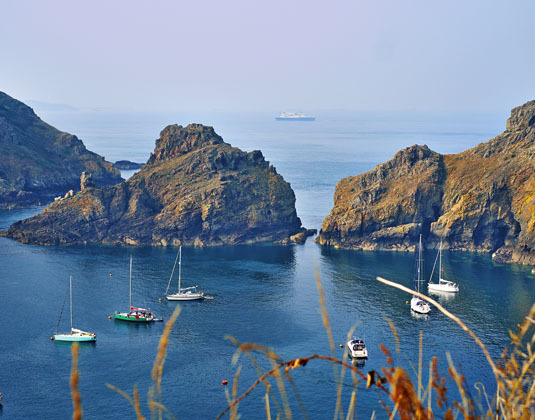 Sark: Travel to Guernsey by sea or air with an onward 50 minute journey by ferry.